Episode 9 kicks off with a quick bit of organizational material where the show’s original host, David Weaver, announces that he’s handing the reins over to Matthew Wittemeier. After a brief introduction, the show continues with the topic’s guest Johanna Bellenberg, Director of Marketing and Communications at Picavi. 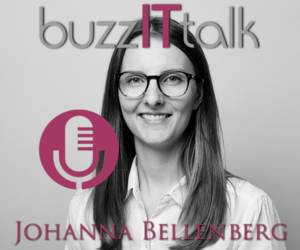 Shortly into the interview, we delve straight into the topics of Augmented Reality (AR) and Smart Glasses, or as Johanna likes to call it, Assisted Reality. We learn that Assisted Reality differs slightly from AR in that it isn’t as immersive. This is a distinct point of difference for business operators as it allows for a safer overall interaction. Exploring different usage examples and digging into the appropriateness of Smart Glasses in the enterprise world takes the show up to a concluding discussion on where we can find AR today (spoiler alert, Pokémon Go is up for debate).